We are a trade only distributor, to order this product you will need an active dealer account. Click here to sign up for a dealer account. 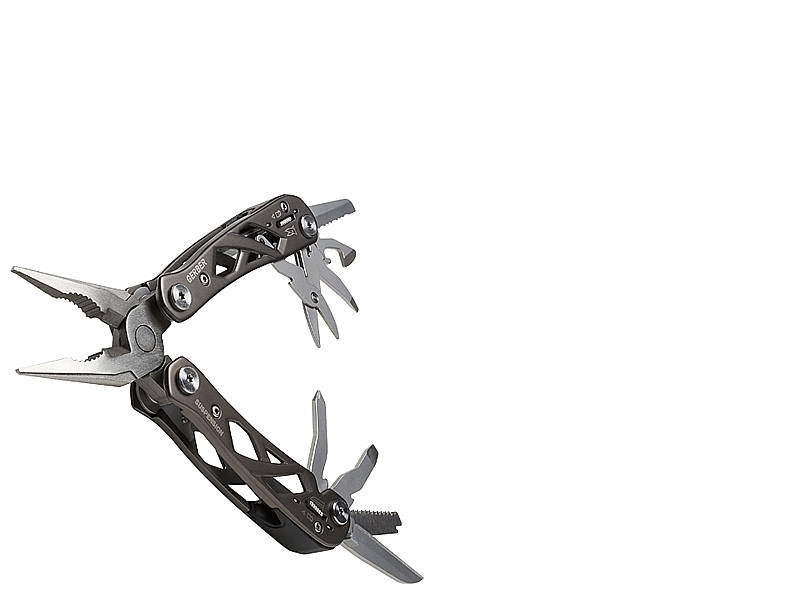 The Suspension is a mid-sized multi-tool fitted with a set of needle nose pliers as its central appliance, as well as a variety of other essential tools conveniently located within its handles. Tools can now be used without fear of unintentional movement due to the built-in Saf.T.Plus ™ locking system. The Suspensions body is of an inspired design, which combines fashion and functionality in this handy tool. The handles offer a reduced body weight due to their para-frame design as well as an increased grip due to the resulting grooves. The Suspension multi-tool is constructed of stain & corrosion resistant stainless steel, making it highly practical and reliable. The Crucial is simple to store, with implements that fold into the handles and can be locked in place, helping to significantly reduce size allowing for easy and safe transport. Complete with a built-in lanyard ring. Perfect for everyday use on-the-go or at home. GERBER PRODUCTS ARE TOOLS AND MUST BE USED WITH THE UTMOST CARE. PLEASE USE ALL GERBER BLADES AND EQUIPMENT RESPONSIBLY. For more information on Gerber products and aftercare visit the Help & Advice page or click Here for more information.